Fort Scott 10:00 a.m. Tuesday, August 14, 2018, at Mary Queen of Angels Catholic Church with Rosary at 9:30 a.m. St. Patrick’s Catholic Church in Kingman, Kansas, 10:30 a.m. Thursday, August 16, 2018, with Rosary at 10:00 a.m.
Virginia Marie Gillen McKenna died Wednesday, August 8, 2018, at Mercy Hospital in Fort Scott, Kansas at the age of 80. Virginia was born July 14, 1938, in Harper County, Kansas, to Arnold P. and Margaret A. (Goetz) Gillen. She grew up on a farm near Willowdale where she and her eight siblings played hide-n-seek and red rover outside on the wide prairie. Because the family could not attend daily mass, they added the phrase, “All for the honor and glory of God today” to the end of their daily meal prayer. This is a tradition that continues to this day in the Gillen and McKenna families. 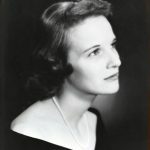 Virginia graduated from Kingman High School in 1956 and married Michael J. McKenna at the St. Patrick’s Catholic Church in Kingman Kansas on December 29, 1959. They lived in Mishawaka, Indiana and in Kansas City, Kansas while Mike attended Notre Dame and then the University of Kansas Medical School. They had three children: Jennifer Ann, Edward Christopher, and Michael Joseph, before settling in Fort Scott where Dr. McKenna worked with Dr. James Basham at the Basham McKenna clinic before starting his own practice. When her husband was diagnosed with Multiple Sclerosis, she became his sole caregiver. Virginia and Mike were married for 41 years before he died in 2000. The simple things in life gave Virginia the most joy. Each day, she looked forward to her daughter Jennifer and grand-dogs coming to say hello. She doted on her granddaughter Maude. In past years, she loved spending time at the McKenna cabin in Kingman with family members. 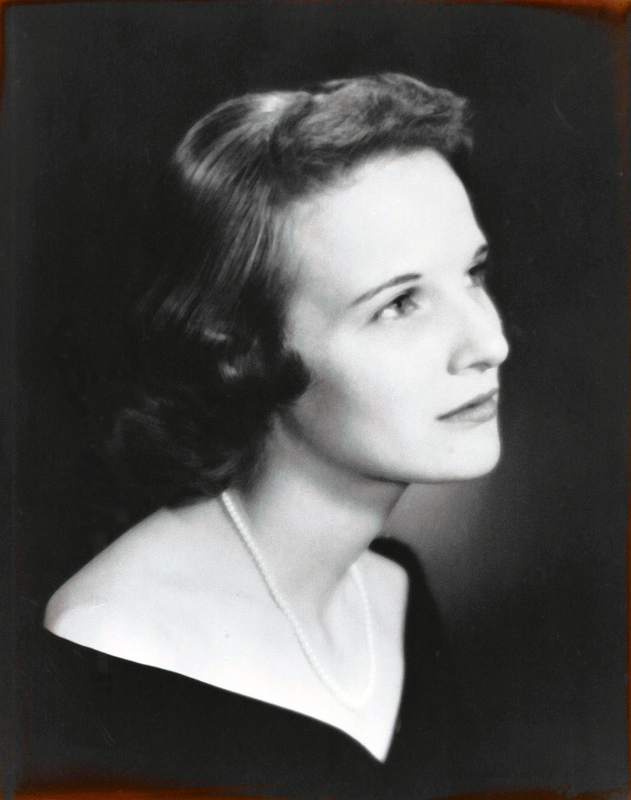 She was an avid reader who also enjoyed birdwatching, sketching, and playing bridge with friends. A lifelong gardener, she could often be found puttering in the yard. She loved spending time on her front porch visiting with family, neighbors, and friends. Virginia was a member of P.E.O. and the St. Anne Altar Society. For years, she participated in the 24-hour adoration at Mary Queen of Angels. Most recently, she particularly enjoyed her daily drives with her son Ed (Chris) to Lake Fort Scott and Gunn Park. Virginia is survived by her children Jennifer McKenna of Fort Scott, Ed McKenna of Fort Scott, Mike McKenna and wife Steph, and her granddaughter Maude of Boise, Id. ; her sisters Rosella Thissen and husband Bob of Augusta, KS, Lorraine Yalong of Fresno, CA, and her brother Fred Gillen and wife Margaret of Kingman, KS. She was preceded in death by her husband Michael, her parents Arnold and Margaret Gillen, sisters Esther Ross, Louise Steffen, Catherine Lauener, and Mary Odell, and her brothers James Gillen and Robert Gillen. Following cremation, Father Robert Wachter will celebrate the Funeral Mass 10:00 a.m. Tuesday, August 14, 2018, at Mary Queen of Angels Catholic Church in Fort Scott, Kansas with Rosary at 9:30 a.m., under the direction of the Konantz-Cheney Funeral Home. Father Andrew Walsh will celebrate the Funeral Mass 10:30 a.m. Thursday, August 16, 2018, at St. Patrick’s Catholic Church in Kingman, Kansas, with Rosary at 10:00 a.m. Burial will follow at the Walnut Hill Cemetery in Kingman. In lieu of flowers, the family asks that memorial donations be made to the Multiple Sclerosis Foundation at msfocus.org, the National Breast Cancer Foundation at nationalbreastcancer.org, or the St. Mary’s school in Fort Scott, Kansas. Memorial contributions may be left in the care of the Konantz-Cheney Funeral Home, 15 W. Wall Street, PO Box 309, Fort Scott, KS 66701. Condolences may be submitted to the online guestbook at konantz-cheney.com.